We’re donating 10% of each fare to Frankie Sherwood; a little boy who is battling life threatening cancer in Tyneside. The three-year-old was diagnosed with neuroblastoma last year, after a roller coaster of ups and downs. Up until last month, it was believed that the chemotherapy treatment was a success, last month it was confirmed the cancer had returned. There is treatment available in America, however the treatment comes at a cost – £550,000. Here at Tyneside Travel, we’ve been following Frankie’s story on Facebook and after hearing the disease had returned, we’ve decided to get stuck in and do what we can to support the little boy and his family! The Help Save Frankie Sherwood campaign has already been a huge success, as a whole, the public has already raised just under £109,000, an amount that many thought was impossible. As the months go by, the target of £550,000 is seeming more achievable. If only for the next couple of months, choose Tyneside Travel in the North East for your travel requirments to help save Frankie! We provide travel for 6+ people and remember, 10% of your fare will go towards saving Frankie. Together we can all make a difference in this little boys life! To arrange your travel today, call 0191 281 5622 or visit www.tynesidetravel.co.uk. How can you help raise money for Frankie Sherwood? 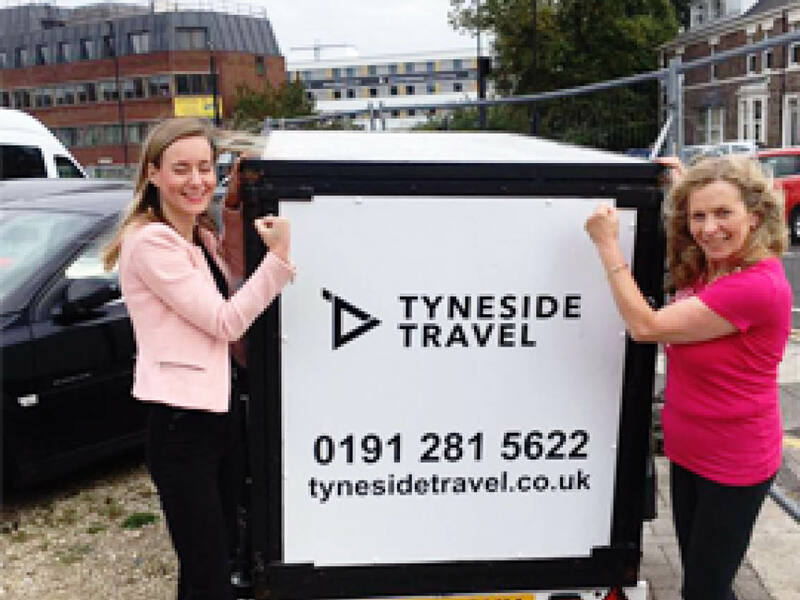 By choosing to work with companies such as Tyneside travel who are using their business as a vehicle to help raise money for the 3-year-old. Think about how you could raise funds for Frankie Sherwood, you could do something as simple as putting a charity bucket on your reception desk in your work place. Share a #FistsForFrankie photograph on social media, if you’re not in a position to donate, there’s other ways to support – we can all contribute by bringing awareness to this cause.